July 13th and 14th with Blackberry Smoke is now officially a SOLD OUT weekend! The Brothers and Sisters will fill The Shed to capacity on both nights! Be sure to come out early to hear The Steel Woods on Friday night and then Scotty Bratcher on Saturday night! We feel a good one comin’ on!!! The day you never thought you’d see is here, Chris Knight is coming back to The Shed! He will be performing inside the Smokin’ Monkey Lounge on Thursday, August 9th! This will be a great opportunity to see an incredible songwriter in an intimate setting. And admission is only $15! https://www.theshedtickets.com/wp-content/uploads/2018/06/Chris-Knight-Slide.jpg 400 1170 Joshua M. Formont https://www.theshedtickets.com/wp-content/uploads/2017/10/2633-SHED-LOGO-3-291x300.png Joshua M. Formont2018-06-28 09:58:362018-06-28 09:58:36Chris Knight Indoor Show Added! Both June 29th and June 30th are now SOLD OUT!! Jamey Johnson’s big two night stand later this month is going to be a sold out party! 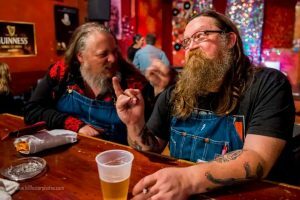 Kendell Marvel and Chris Hennessee will both have opening sets each night before Jamey and his amazing band take the stage. Kendell Marvel is on at 6:30pm. 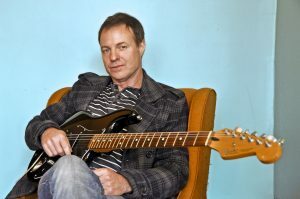 Chris Hennessee is on at 7:30pm. Jamey Johnson will take the stage at 8:30pm. The Great Smoky Mountains Regional H.O.G. Rally is coming to East Tennessee and The Shed is happy to host a week full of shows to provide nightly entertainment for rally attendees! All registered Rally customers will get into each show for free with their arm band serving as proof for entry. The Great Smoky Mountains HOG Rally will kick off with a bang as Knoxville’s top musicians come together to perform the music of the Allman Brothers in FLAWLESS fashion! The second night of the Great Smoky Mountains HOG Rally isn’t slowing down! Don’t miss Satisfaction as they rip through all your favorite Rolling Stones classics! Friday night will take a cajun dive down to the bayou with Green River and the music of Creedence Clearwater Revival! The Great Smoky Mountains HOG Rally Tribute to Rock and Roll’s Greatest Artists continues all week! The closing night of The Great Smoky Mountains HOG Rally will tribute one of the greatest of all time- Tom Petty. Now Shed veterans, The Wildflowers are not to be missed! K-Town will kick off the show! Click on each picture to buy tickets for the show, or get them at the gate that night! Shows start at 7pm except for Saturday when K-Town opnes up for The Wildflowers at 6:30pm! 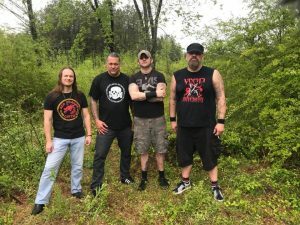 *Thursday night, May 31st, will not feature live music at The Shed,. People are encouraged to head to downtown Maryville for a Rally Street Party! https://www.theshedtickets.com/wp-content/uploads/2018/05/29790123_1659314347484983_5784001465039192064_o.jpg 1200 1200 Joshua M. Formont https://www.theshedtickets.com/wp-content/uploads/2017/10/2633-SHED-LOGO-3-291x300.png Joshua M. Formont2018-05-25 09:46:172018-05-25 09:46:17Great Smoky Mountains HOG Rally Bringing a Full Week of Shows to The Shed! Tickets are also on sale now for the new date. Anyone who is unable to attend the new date and needs a refund for the tickets they purchased can email info@theshedtickets.com or call 865-977-1669. Please have all of your order information in the email or on hand. https://www.theshedtickets.com/wp-content/uploads/2018/05/DAC-Logo.jpg 708 776 Joshua M. Formont https://www.theshedtickets.com/wp-content/uploads/2017/10/2633-SHED-LOGO-3-291x300.png Joshua M. Formont2018-05-09 08:15:322018-05-09 08:17:03David Allan Coe Rescheduled! The Shed has just been informed that David Allan Coe has been admitted to the hospital due to illness and vertigo. Due to these unforeseen events, tomorrow night’s (5/5/2018) show is going to be rescheduled. All tickets purchased for the original show will be valid for the new show. Once the new date is announced, any buyers who are unable to attend will be eligible for a refund. 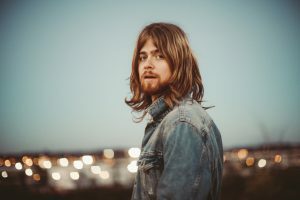 The Shed profusely apologizes for the inconvenience and invites everyone to still come out tomorrow night for a FREE show featuring Stone Broke Saints. Black Dragon Breakdown Schedule Revealed! 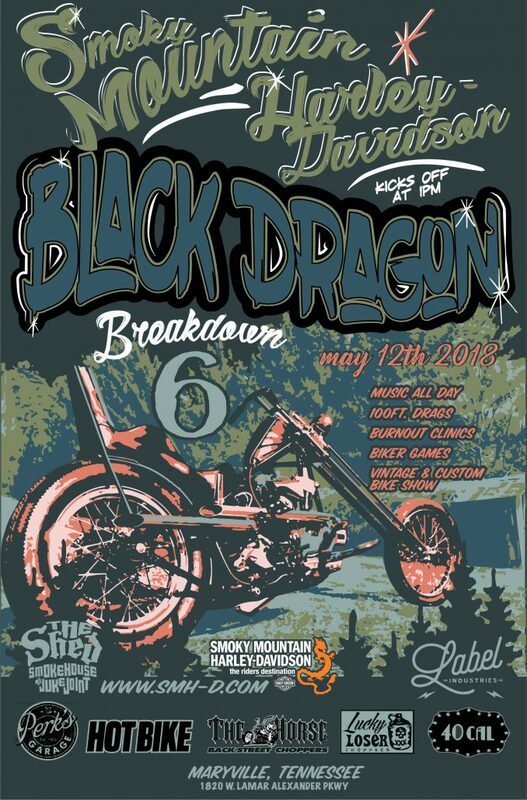 With just over a week to go, we now know the times of each of the performers at The Black Dragon Breakdown on May 12th! The entire day is absolutely free to attend and will feature some of the best local acts in East Tennessee! In addition to the great music, we’ll have an open ride in bike show, a pro builder contest, drag racing, and biker games! Registration for the bike show will be from 1-3pm. Awards will be given at 4:30. Drag Racing and Biker Games will take place between 2 and 4pm. Gates open at 1pm and attendance is ABSOLUTELY FREE! Be sure to come out for a heck of a good time! https://www.theshedtickets.com/wp-content/uploads/2018/05/Black_Dragon_2018.jpeg 2851 1876 Joshua M. Formont https://www.theshedtickets.com/wp-content/uploads/2017/10/2633-SHED-LOGO-3-291x300.png Joshua M. Formont2018-05-02 13:34:472018-05-02 13:35:52Black Dragon Breakdown Schedule Revealed! Chris Blue Tickets Now On Sale! United Way’s Music Fest featuring Chris Blue now has tickets available to purchase for the big show at The Shed on Friday, July 27th! Net proceeds benefit United Way of Blount County! 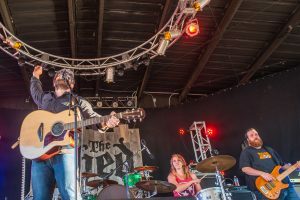 Aaron Tracy is an All-American East Tennessean living his life behind a beat up six-string and a classic stage microphone. If it’s “loud and proud,” wholesome country music, then it’s got Aaron’s name written all over it. https://www.theshedtickets.com/wp-content/uploads/2018/03/CB-Slide.jpg 450 1170 Joshua M. Formont https://www.theshedtickets.com/wp-content/uploads/2017/10/2633-SHED-LOGO-3-291x300.png Joshua M. Formont2018-05-01 09:20:272018-05-01 09:20:27Chris Blue Tickets Now On Sale! July 14th, the second night of Blackberry Smoke and The Shed’s Brothers and Sisters Reunion, is officially SOLD OUT!! its going to be a heck of a party! Tickets are still available for the July 13th show.